If there was ever a simple tarot reading that exists, it has to be the single card tarot. Afterall, all you need is a single card! However the simplicity of the 1 card tarot does lie in the types of questions you ask, what you would like to know, and how you interpret the cards. If you need information on a complex topic a one card tarot reading will be hard to interpret in a way that is helpful to you (even though a single card is capable of answering complicated questions). So how can you make the most out of a one card tarot reading? What is the best way to incorporate a 1 card tarot into your life? And where can you find a single card tarot? We share all of these details and more, right here. 1 What is a One Card Tarot Reading? 2 Who is a One Card Tarot Reading For? 4 Where To Find Free One Card Tarot Readings Online. 8 Don’t forget to give us feedback after! What is a One Card Tarot Reading? A single card tarot reading is a simple tarot reading where only one card is used to answer a question or to shed light on a situation. It’s an easy tarot reading for everybody to perform, including beginners. 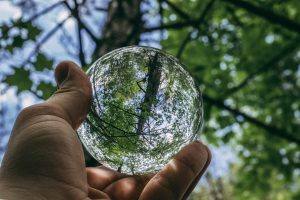 There are lots of different types of readings that you can do, with a single card tarot and we’ve included some fun ideas in this article. Shuffle a pack of tarot cards while asking a question or thinking about a topic that you’d like to know more about. When you feel ready, either choose a card from the top of the pack or randomly remove a card from the middle of the pack. All you need to do now is to translate the meaning of the card, which you can do using the booklet that will come with your pack of tarot. Free one card tarot readings are also widely available online too. Who is a One Card Tarot Reading For? Interested in the energy that surrounds you today. Curious about a relationship or love interest. Learning to read the tarot. Dealing with conflict, or an unpleasant environment. Preparing for a promotion, or new skill or experience. Then a one card tarot reading will be your cup of tea! A ‘yes, no’ tarot reading is a single card tarot reading where you aks a ‘yes or no’ question. If the card you pull from your pack of tarot is upside down, the answer is‘no’, and if it’s the right way up, it’s ‘yes’. Just be sure to really mix up your cards so that some do turn upside down, especially if you pack of tarot cards is new. A daily 1 card tarot reading practice is a tried and tested technique for starting to become familiar with the energy and meaning of tarot cards. Ideally when you read tarot, and to get the best results you won’t use the booklet which displays the meanings of the cards. Instead, you’ll intuitively understand the meaning. This is when the cards start to come to life. To get started with your one card daily tarot reading practice all you need to do is shuffle the cards at the beginning of the day and while you are shuffling ask ‘what is on the cards for me today’. Then pull out a card, this card will tell you what you might experience during the day and you can look for examples of when that cards energy is present during your day. A one card daily tarot to forecast what might happen during your day is just like reading a daily horoscope or the weather forecast. Follow the instructions for the Daily Tarot Reading practice but if you don’t want to learn about the tarot cards, just take in the meaning from the booklet and use that as an idea for what to expect rather than trying to work with the cards throughout the day. A single card daily tarot to practice meditation is a perfect way to relax and get a reading at the same time. All you do is meditate in whatever way you usually do, but before you start, ask for guidance on anything that is interesting or concerning you and then draw a card from the pack and hold the card in your hands during meditation. Try to see the imprint of the card’s image in your third eye and be patient, sometimes things take time to reveal themselves! So as life wasn’t hard enough, we also have to deal with astrological, numerological, emotional, collective energy AND metaphysical energy (which is generally everything combined into one, and mixed in with your life journey). Sometimes the metaphysical weather can challenge our equilibrium, other times we could feel bored and despondent or happy and motivated. 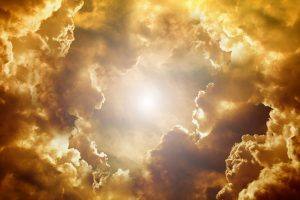 Understanding the metaphysical energy around us will help us harness the good, and avoid the bad. Simply ask for a metaphysical energy reading as you are shuffling the cards and read the card you pull out in the same way that you did for the Daily Forecast. Just in the same way that you can read metaphysical energy, you can also understand or be aware of any energy that may bring conflict to you, or help you deal with arguments and conflict that is already happening. A 1 card tarot reading will give you an idea of what energy you should either bring forward or stop so that you can achieve your desired results. A one card yes or no tarot reading will help to figure out whether you should stop or start something if you are unsure. Where To Find Free One Card Tarot Readings Online. Free one card tarot readings are wildly available online and are easy to use. Here’s a link to our Free One Card Tarot Reading. Just ask your question or use the different types of reading ideas to help you choose the right kind of 1 card tarot reading for you. You can also do your own single card tarot, all you’ll need is a pack of tarot cards and the guide that comes with the cards. Typical Questions You Might Ask. Is X right for me? Am I in the right concerning x situation? Will I meet a romantic partner soon? Will I be happy in this job? What can I do to make my relationship happier? How can I tell if he/she wants to be with me? What do I need to do before I’m ready to marry? What does my partner need to do before they are ready to marry? What is preventing me from getting the right job? What is preventing me from enjoying my job/relationship/life* insert as appropriate? What can I do to get more money? 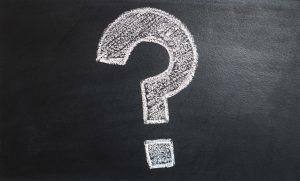 What spiritual lessons should I be learning right now? 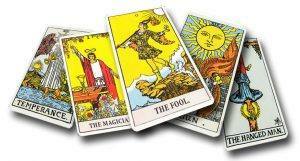 A one card tarot reading will typically be attained either online, or conducted yourself with your own tarot cards. However the information received, will be challenging to foresee without experience, or other tarot spreads to help determine the reasons behind anything that shows up on your cards. 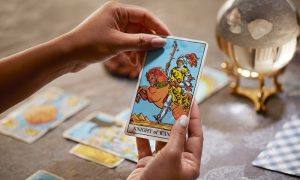 If you are enjoying a free online single tarot reading or doing your own reading, you can expect to find enough information to help you gain some perspective on a situation but not enough detail to build a bigger picture around what is going on. To find that sort of information out, you’ll benefit from hiring a tarot reader. A tarot reading from a professional, while not likely to be a 1 card tarot reading will focus on the elements of your life that are important for you, and also address your immediate concerns relating to your life and the reason why you considered a one card tarot reading in the first place. However you receive your reading, you should feel uplifted and empowered at the end of it. If you don’t, you may have misread the card, misunderstood the message or haven’t realised that there are some things that you need to let go of and that you’ll be much happier when you do let go, even if it doesn’t seem that way right now. There are plenty of inspiring and reassuring readers that have been handpicked for their skills and are waiting to hear from you, check out ‘our picks’ for our favourites sites. You won’t always hear what you want to hear.